The film-laminated mini bottle can, which is coated on both the inside and outside with PET film, is an eco-friendly can that uses no water during production and requires no inner coating and baking processes. 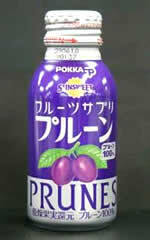 The film-laminated mini bottle can is lighter and less fragile than a glass bottle, making it easy to handle during filling and distribution, as well as in the market. The Canmaker Summit is the largest can-making technology event in the world, and is held every year by the Sayers Publishing Group, the publisher of "The Canmaker." At the two-day event, major can manufacturers, beverage makers, etc. from around the world made presentations on the latest technology and the market trend. 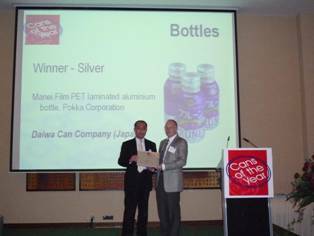 "Cans of the Year" is a famous global contest for metal containers, and the awards ceremony for the winners this year was held after the presentations on the first day.